Well this marks change. Change as in the first picture book I'm reviewing! 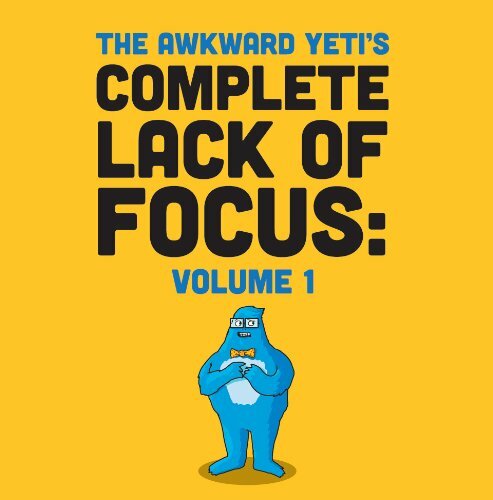 Lars the Awkward Yeti is a popular webcomic that we interviewed the author of earlier. Now he decided to put his best artwork into an awesome book with a preview of an upcoming book! Well I guess I can't comment on the story line, plot, or other things but I will say the picture quality was amazing. I showed it to a few friends one a science nerd and they were laughing at some of the puns and Lars's awkwardness. I really liked Lars as a character even though I have strong feelings about discrimination against comic book characters (they always getting into some kind of bad situation). The book felt expensive like it was done right. I'd go as far to say the caliber of a Big Nate or Diary Wimpy kid good. 5/5 I felt no fault with it (except I wish there was more) especially since the artwork was so darn fancy. Like legit go to the back couple of pages and see the beautiful artwork! Anywho make a buy regardless of your taste in comic because you will find it appealing.